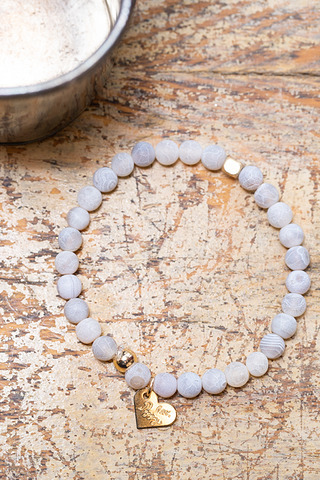 The Chalcedony Beaded Bracelet is a stunning piece that goes well with everything in your jewelry collection. 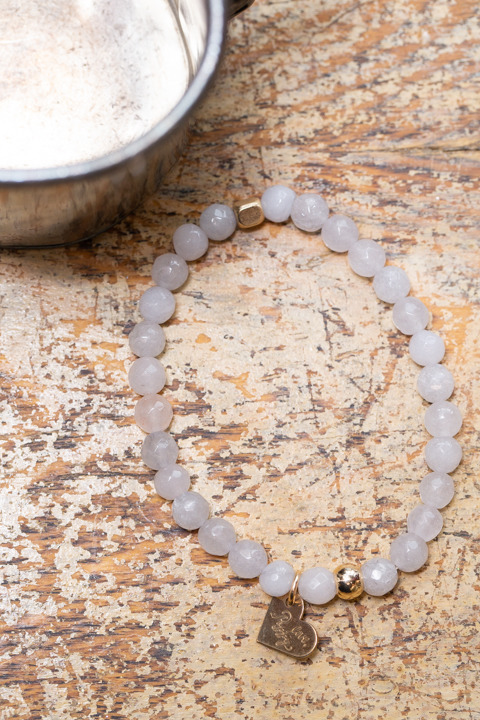 With chalcedony beads strung along an elastic band making it an easy to put on piece that fits most wrist sizes. 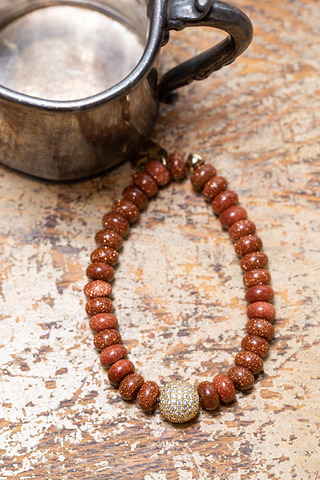 Featuring gold accents giving some contrast to the beads. 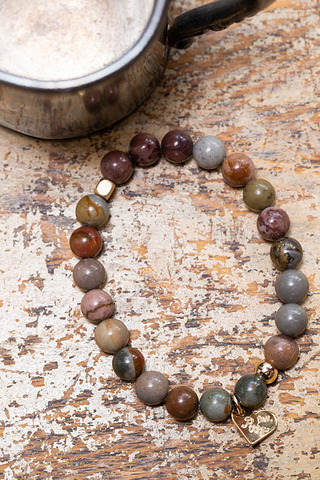 Made by Love Poppy Jewels.